Female macropterous; body colour yellow with grey markings laterally on pronotum; metascutellum shaded, abdominal tergites II–IV shaded medially but yellow laterally; pronotal setae dark; antennal segments III–VIII grey; fore wings pale with 2 small dark transverse bands, clavus also dark. Antennae 8-segmented, III & IV with long forked sensorium. 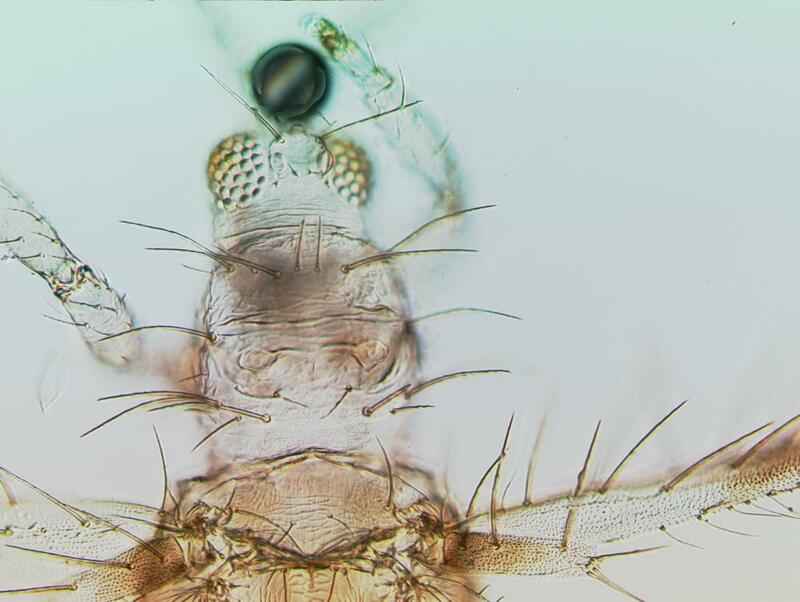 Head wider than long, without sculpture between ocelli; 3 pairs of ocellar setae present, pair III very long and arising on anterior margins of ocellar triangle; postocular setae small, pair I close together behind hind ocelli. Pronotum with 6 pairs of very long setae. Metanotum with weak reticulate sculpture, campaniform sensilla absent, median setae arising at anterior margin. Meso- and metafurca with spinula. Fore wing first and second veins each with about 5–7 long setae; clavus with only 3 veinal setae, sub-terminal longer than terminal. Tergites with no sculpture medially, VIII without posteromarginal comb, X with no median longitudinal split. Sternites without discal setae, setae S1 on sternite VII arising in front of margin. In this essentially Old World genus 14 species are currently recognised (Mound, 2011). 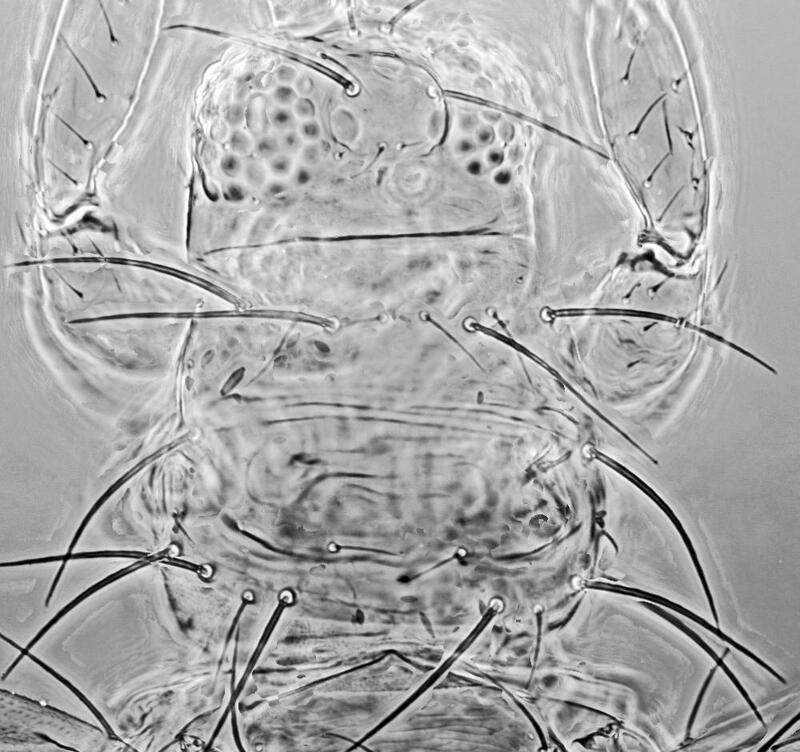 S. sexmaculatus, together with S. hoodi and S. pallidus, comes from North America, and differ from most of the Old World species in having a pair of discal setae near the posterior margin of the pronotum. 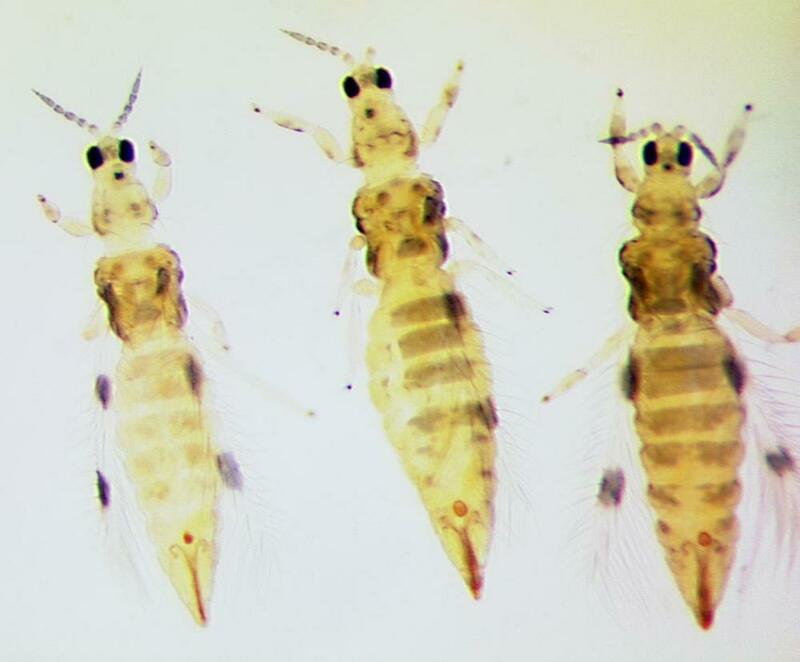 Currently there is some doubt that these three are different species - they may be colour variants associated with differences in temperature during development.Certainly considerable colour variation occurs within samples of populations reared commercially in California for sale as biocontrol agents of mites. Collected from many different plants, particularly bean crops and fruit trees. 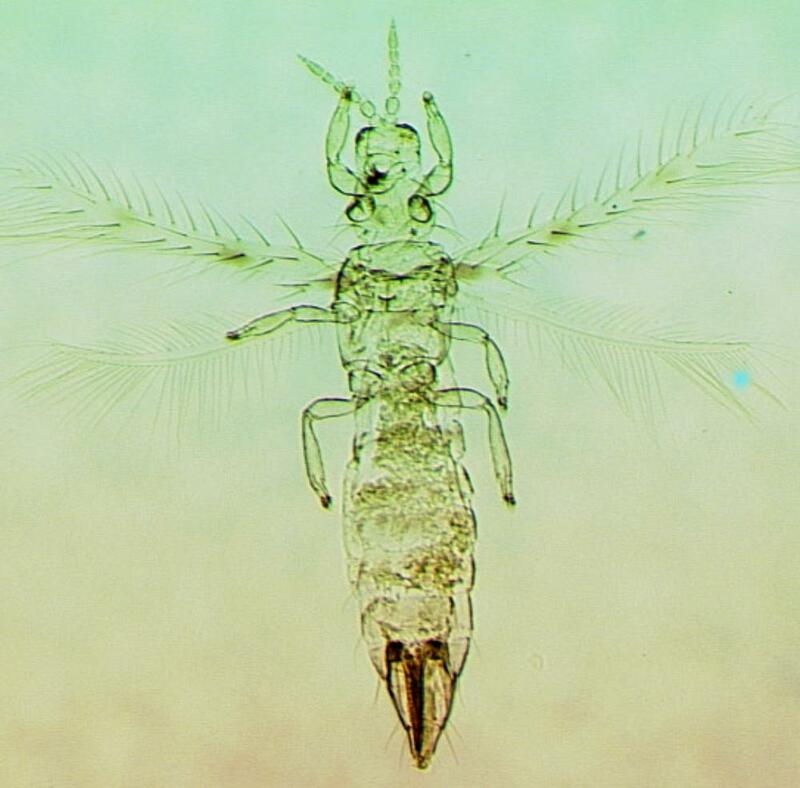 Identified for certain only from North America, and produced commercially in California as a biocontrol agent against leaf-feeding mites (Mound, 2011). Old World records, including Australia, probably all refer to S. rhagebianus.